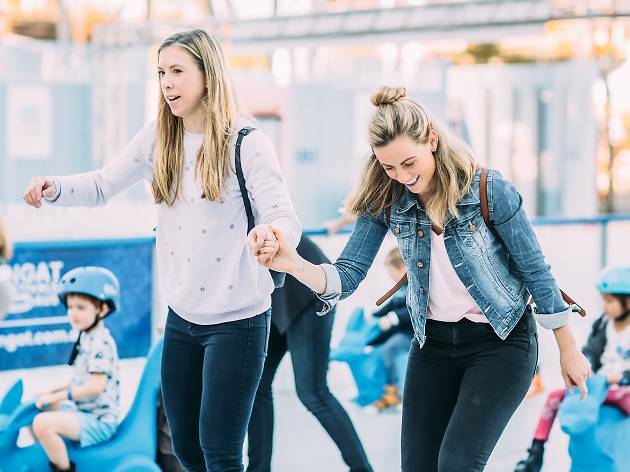 Open during the first three weeks of summer, the Air Canada Ice Rink will be the centrepiece of the market’s always excellent Christmas celebrations. 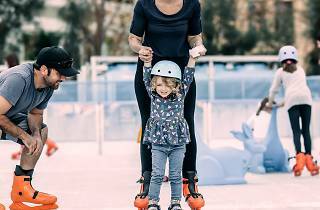 The rink will be popping up under the market’s historic sheds and will be giving marketgoers the opportunity to enjoy North America’s winter Christmas culture right here in Australia. 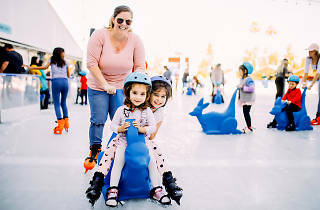 The ice rink will be open for skaters of all ages with skating sessions running hourly. 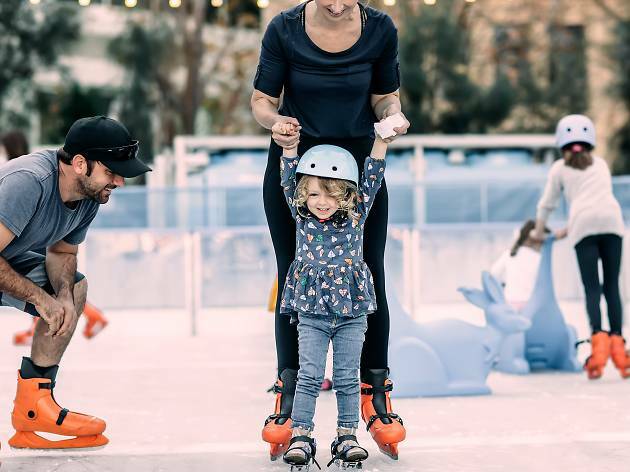 Skates, helmets, skate aids and knee pads will all be available for hire. Tickets will be $10 for children under 14 and $15 for adults, and you can purchase them online here or in person at the rink. 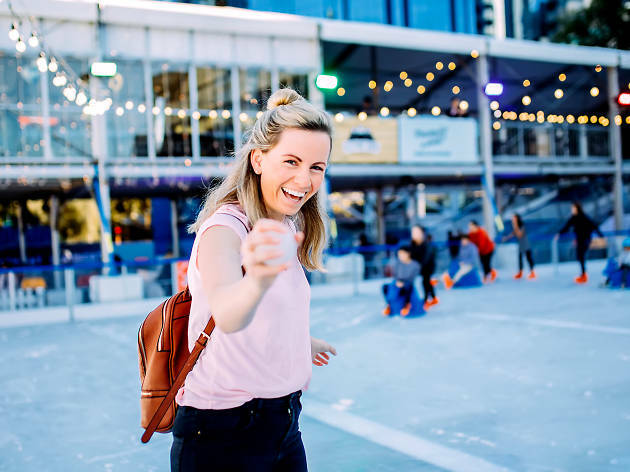 All that skating will surely work up an appetite, so luckily there will be a host of rinkside treats to try – all with a bit of Canadian flair. 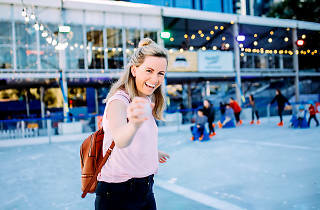 Market favourite Geloso Gelateria will be serving up some maple syrup ice cream, and there will be traditional poutine (French fries, cheese curds and gravy) to try as well as fairy floss and popcorn. 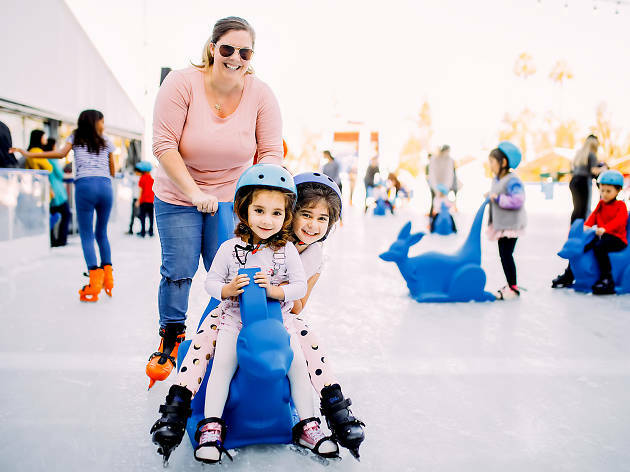 The ice rink will be open on market days (all days excluding Mondays and Wednesdays) between December 1 and 24, as well as on Wednesday evenings as part of the Summer Night Market.